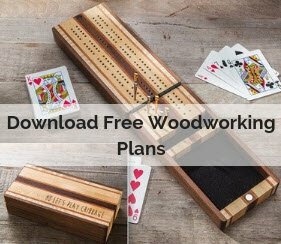 Bandsaw boxes are an attractive project that can be completed in just a few hours in your shop. I hope this project will be the first of many bandsawn boxes for you, because I am a real champion of them. 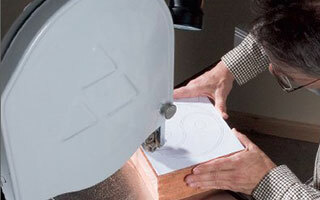 Once you have the basic concept down as to how these clever little boxes are made, it’s very easy to design your own. 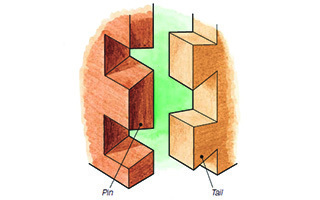 Through Dovetail Joint Diagram drawing Dovetail joints are the most prevalent and useful joints in modern woodworking and should be a part of every woodworker's arsenal. 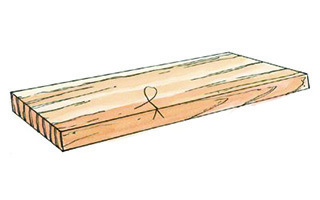 Judging from the number of woodworking websites that feature the image of a dovetail joint, this handsome interlocking connection may be the most prevalent symbol of fine craftsmanship. What's the best joinery method for drawer boxes? For that matter, what are the joinery methods for making drawer boxes? Here's the short answer along with a couple of suggestions: A drawer is essentially just a box, but it's a box that has to be especially square (for the drawer slides to work correctly, among other things) and has to be durable enough to stand up to the sometimes discourteous treatment that drawers typically receive. 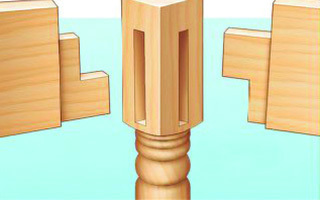 That means that in drawer making, the emphasis is on reliable, accurate joinery. 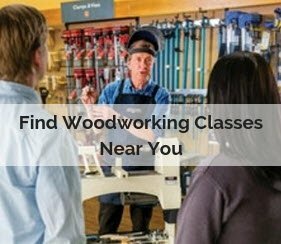 To make professional-quality mortise and tenon joints, you need a woodshop full of expensive tools, decades of experience and loads of time on your hands, right? Nope. Not if you have a Beadlock kit. 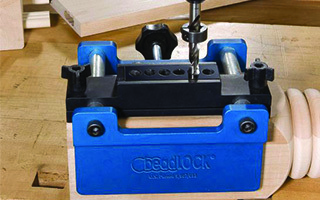 With the Beadlock system and just a few common tools, you can make perfect mortise and loose tenon joints beginning with your very first try. 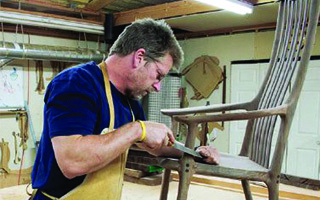 The Butterfly Joint was created by chairmaker Scott Morrison to help add strength and beauty to his chairs. Woodworker Scott Morrison has created a joint he calls the Butterfly™, and he hopes it makes a name for him in the woodworking world. “I wanted something unique, and something I could call my own,” Scott said. 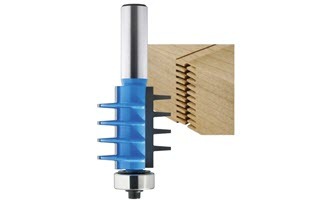 Finger joint bits, like this one, make solid molding cuts and add strength to your standard miter joints. You’ve seen paint-grade moldings at the home center — the stuff made up of those short pieces joined end-to-end with finger joints. Have you ever thought how great it would be to “stretch" a board like that? Does It Matter if You Cut a Joint Edge or Face First? 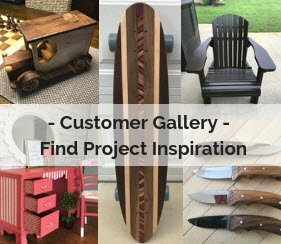 Woodworking Question: I have read a number of articles on using a jointer or jointing a piece for a project. Some say joint an edge first, others say joint a face first. Which is the right way, or does it matter? See what our experts have to say. 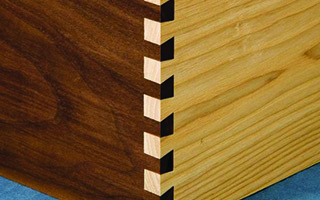 Woodworking tip: Did you know notched criss-cross style tenon joints give corners a little extra stability and increase the amount of surface area for glue-up?